Centracore LLC is a United States based manufacturer that is dedicated to delivering high quality, fairly priced parts to engineers and companies in the automotive, heavy truck, diesel engineering, military, and recreational vehicle markets. This company is dedicated to the production of machining and assembly of casting, forging, and extrusions. 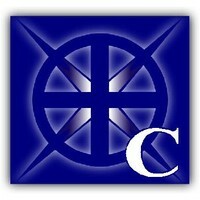 Centracore’s personal brand is one of safety, quality, cost, and delivery. Within the past year, El Grande Group has assisted Centracore in establishing their first production plant in Guanajuato, Mexico. This initial investment is projected to generate sales worth up to $5M USD and the creation of 50 to 75 jobs. What sets Centracore apart from other manufacturers? Centracore has succeeded through a focus on exceptional materials and processes. In addition to their specializing in aluminum casting, Centracore assists clients in the development of products through parts optimization, material selection, rapid prototyping, and production. What is the projected success of a company investing in Centracore? President of Centracore, Todd Kilgus, estimates that within the first year of factory production, a company can generate $7M USD in sales (an amount that is projected to grow in time). Who are some of Centracore’s current clients? As of right now, major names such as Fiat, Chrysler, Tenneco, Ford, and FCA have put their money into manufacturing with Centracore. Company president, Kilgus, predicts that deals with American companies will continue to flourish while the new plant in Bajio brings future investments. He hopes to expand into the Japanese market to work with giants in the auto industry such as Toyota, Honda, and Mazda. El Grande has collaborated with President and Plant Manager of Centracore to offer guidance and means of production to get the company up and running. The new facility in Mexico has demanded many resources and careful assistance to reach the goals of the company. El Grande Group has covered the requirements for importing Centracore’s equipment and machinery, and even the molds of their clients, in order to speed up production. 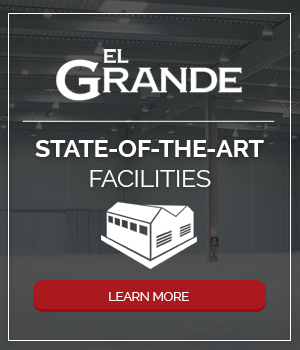 El Grande’s in-house architect has helped with facility accommodations to prep the factory for production. El Grande Group has assisted in setting up a Tax Program, which allows Centracore to save on the taxes for parts manufactured for export in Mexico. El Grande Group helped establish an ISO 9001 Program. Centracore is in the process of certifying the IATF 16949 Program- International Automotive Task Force. Aiding Centracore in attracting new clientele at various national and international events. El Grande Group’s logistics team also provided assistance in an effort to lower production costs. Centracore also benefited from using El Grande Group’s Supplier Selection and Purchasing Management until the company was able to come up with enough revenue to acquire their own personal purchasing manager. Furthermore, El Grande’s accounting department has assisted in communicating financial and tax regulations necessary to operate in Mexico. Centracore’s elite personnel was hired with the help of El Grande Group’s HR services. The company was able to acquire qualified engineers, technicians, and operators to form a capable workforce. In addition, El Grande Group’s business consultation service has developed programming to ensure personnel receive up-to-date training and guidance. El Grande Group has also set up salary, bonus, and incentive programs for all levels of Centracore’s company. Workers with Centracore benefit from personnel transportation as a courtesy service from El Grande Group. In collaboration with El Grande Group, Centracore LLC has successfully expanded their manufacturing operations in Mexico and is expected to flourish with new investors from around the world.